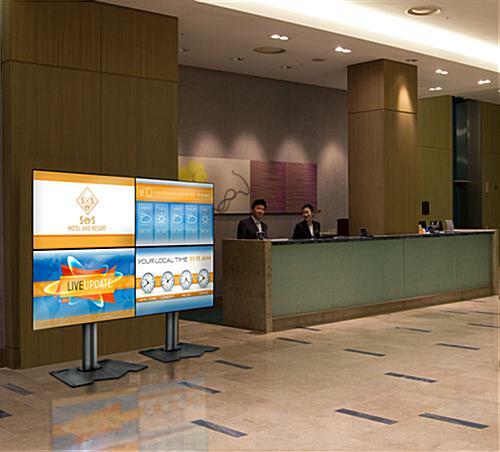 With this 2x2 video wall mount, showcasing seamless premier messages and important information to your clients will be easier and clearer than ever. 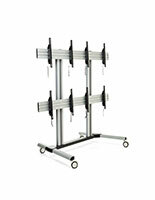 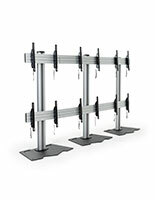 The VESA compatible stand displays an interactive and peerless TV gallery that fits (4) 45” - 55” universal screens. 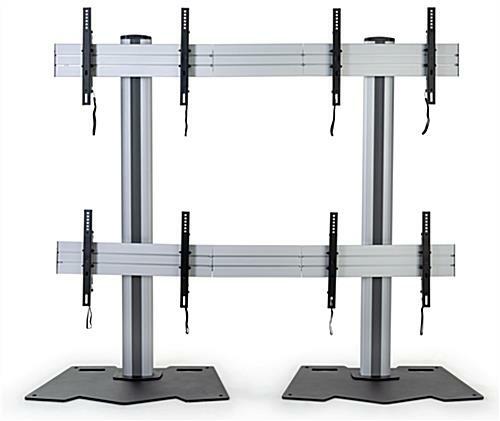 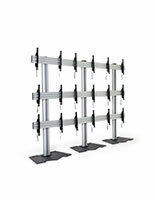 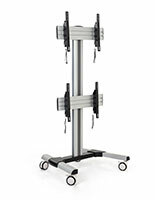 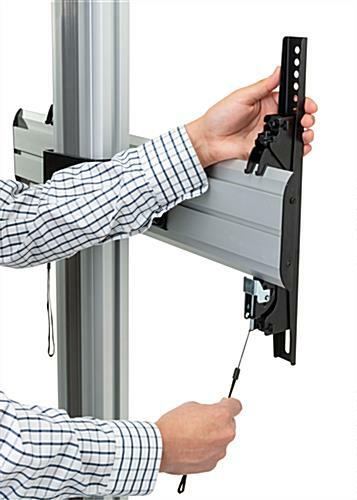 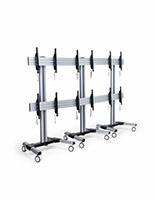 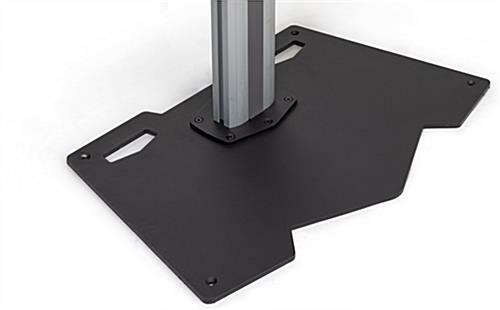 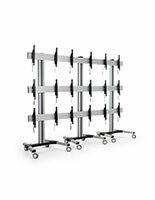 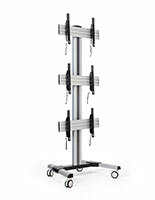 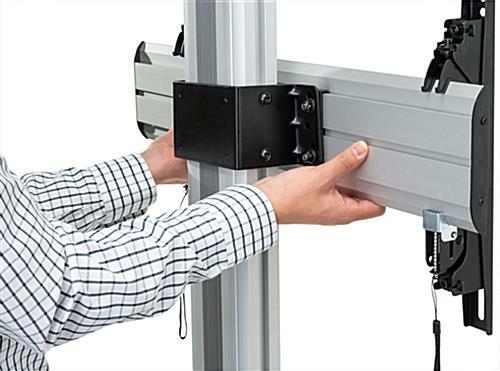 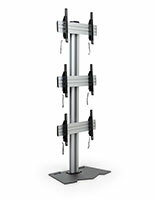 Structured of strong premier steel, the 2x2 video wall mount can showcase up to 60kgs/132lbs. 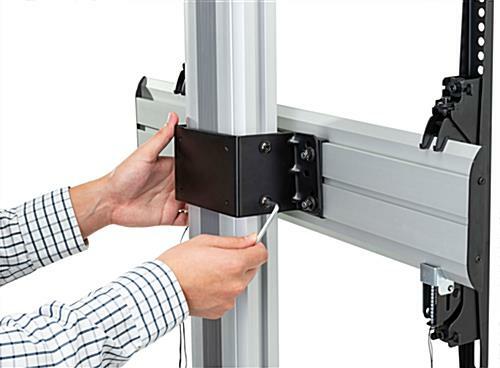 on each locking bracket. 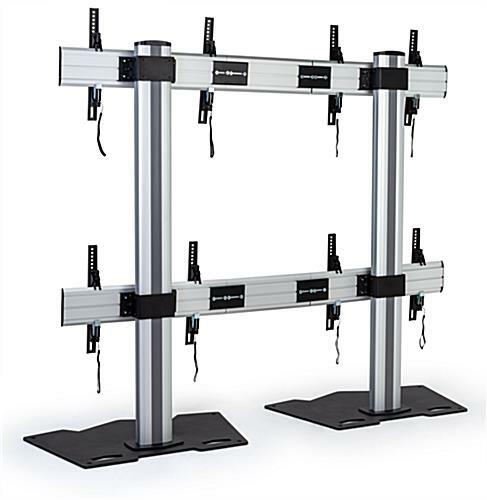 This universal 4-screen digital signage display stand is designed with a reinforced support pedestal, so you can feel secure and confident that the stand will safely present video content to your guests. 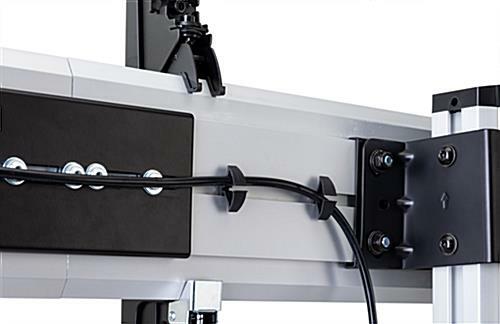 Micro lateral and horizontal shift adjustments allow effortless movement to align all screens for optimal and peerless viewing. 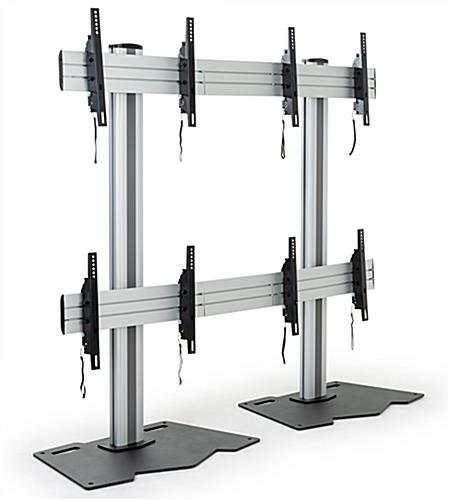 Our 2x2 video wall mount displays a customizable viewing experience to re-engineer and revamp your marketing technqiues or IT and security monitoring efforts.